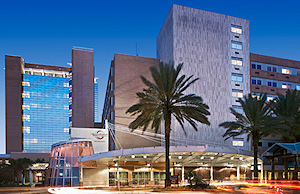 Orlando Health is a not-for-profit healthcare network with 11 facilities throughout central Florida. At the Orlando facility, hospital employees and community members are welcome to join their Healthy U Fitness Center, providing equipment and instruction to help members meet their health and fitness goals. Subcontracted personal trainers were provided to hospital employees, and fitness programs were developed for patients who had completed physical therapy.